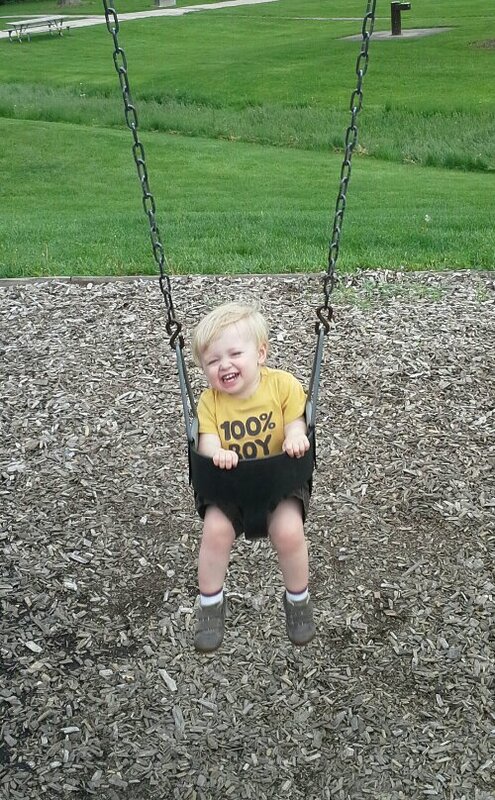 We love playing at the park in Summer, when Wisconsin is warm and lovely. This entry was posted in Great Outdoors, Kids and tagged kids, outdoor play, parents, Wisconsin, Wordless Wednesday by Cathy O. Bookmark the permalink. You just popped up on my “Recommended Blogs” menu and I experienced a moment of shock. I am 99% sure I was following you – how could I not be following you?? Regardless, I am now and I must now catch up on everything that I’ve missed. 🙂 Love your boy’s smile – my Lily does the same toothy grin. Can’t get enough of it! Awh – thanks so much! I know, I enjoy following your blog too – especially since our kids are similar ages. Right now my son is at a fun age to photograph, saying CHEESE so nicely! My daughter is sometimes too moody for the camera (though we have pictures of that too). I guess it makes the good pictures that much more meaningful!